A micronation, sometimes referred to as a model country or new country project, is an entity that claims to be an independent nation or state but is not officially recognized by world governments or major international organizations. Micronations are distinguished from imaginary countries and from other kinds of social groups (such as eco-villages, campuses, tribes, clans, sects, and residential community associations) by expressing a formal and persistent, even if unrecognized, claim of sovereignty over some physical territory. 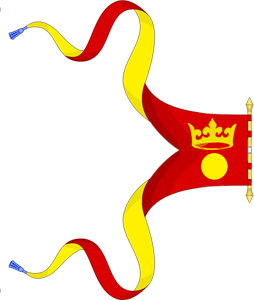 The Principality of Lorenzburg is a micronation situated in the city section Lorensberg in Karlstad – Sweden. The Principality started as a large-scale narrative artifact, developed in collaboration with the residents in the area an with funding from the Municipality of Karlstad.